CNAs provide invaluable patient care, and they give attentive care and support to those who need it the most, particularly elderly patients. In order to become a CNA you must first complete a state approved school, take a state exam, and become Certified as a Nursing Assistant (CNA). The CNA can work in a wide variety of settings. Nursing homes, hospitals, and adult daycare centers. 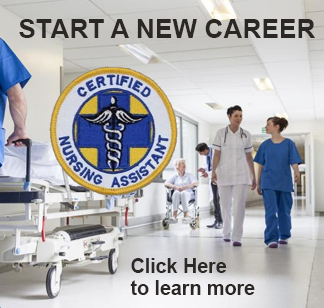 All require the Certified Nurse Aide to act as a liaison between the RN (Registered Nurse) or the LPN (Licensed Practical Nurse) and the patient. 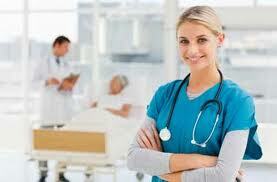 Certified nursing assistants provide basic patient care under the direct supervision of RNs or LPNs. CNAs spend more time with patients than anyone else on the health care team. For this reason, they can easily form lasting connections with patients, especially when they work in extended care facilities, where the same patients are cared for each day. Therefore, communication skills become an important part of the students educational experience. Individuals might also consider CNA and/or CHHA training if they are interested in working in health care to support their education.